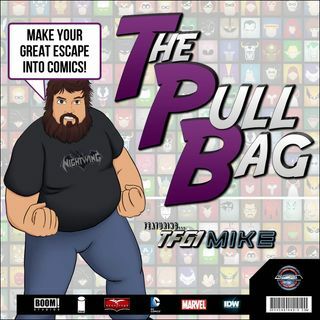 In the 125th episode of The Pull Bag we are giving you a Holiday Leftover episode! TFG1Mike BeatlesDiva and HaHee Prime take a look inside two of IDW's other 2015 holiday specials. We talk about Transformers and My Little Pony's holiday issues!! And always remember to MAKE YOUR GREAT ESCAPE into Comics!!! !